1 – None of those featured are “cradle Presbyterians.” Like me, everyone I spoke to had come to the denomination from another (or no) tradition. I was surprised by this, actually. I expected at least one of them to have been in the PC(USA) from childhood. And I wonder about the implications of that. My colleague, Aric Clark, recently posed the question of what the PC(USA) will look like in the future. Somewhat tongue-in-cheek, I replied, “Browner.” But that’s not a joke, or even a misty hope; it seems to be a trend. And I find it fascinating that these leaders came from somewhere else, bringing with them those perspectives and experiences to this tradition. It’s apparent to me that we’re being called here. What is God saying in that? If I were to posit what it means, perhaps it means our denomination must resist any temptation to be insular in our thinking, and be open — truly open — to the “new” things God desires to do with us. We do not and will never again look like the denomination of reunification, and that’s a good thing. 2 – They are saying the things we need to hear. I loved all of what they had to say, but there are nuggets that I think are especially resonant and need to be heard. 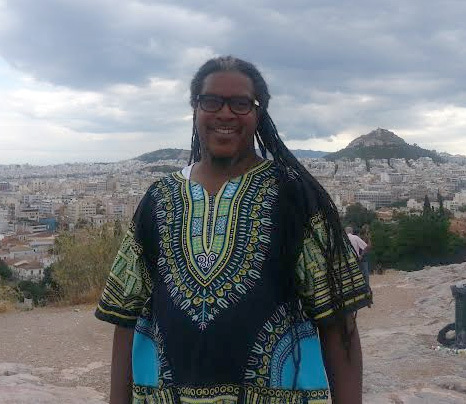 When asked what he most appreciated about our tradition, Carlton Johnson said, “I most appreciate the PCUSA’s interest in matters of social justice, both locally and around the world. I most appreciate this because I believe it to be consistent with the primary interest of the God of the Oppressed and Jesus the Christ who was very clear of his call ‘to bring good news to the poor. '” I do hope we continue to make him proud in this area, and not abandon this important witness. 3 – Next year’s feature will, I hope, include African immigrants in the church and/or their children. Blackness is expansive. African immigrants are one of the fastest-growing demographics in our denomination. 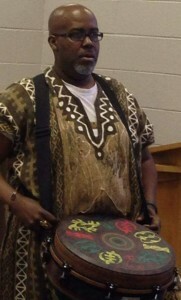 As Joseph Morrow put it, “There is an emerging generation of Black Presbyterians whose families hail from West and East Africa, who will add new dimensions to our cultural identity and its influence on the PC(USA) and US society.” These sisters and brothers come with their own perspective and understanding of their location in this tradition. I’m interested in hearing more about it. 4 – I remain encouraged and excited for our future. God continues to do something amazing, and is in large part using people of color to do it. As much as we may wrestle to find our voice here, it’s needed, and it’s needed because God says so. We have much work left to do, but I’m hopeful for an increasingly inclusive church and look forward to what God will do in and through this tradition. In our final edition of this year’s Our New Day Begun, I am so honored and excited to present Eric Thomas. 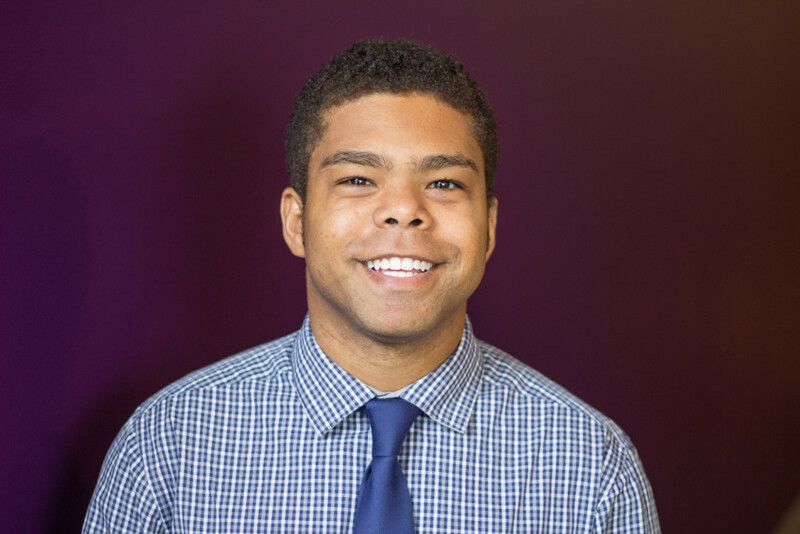 Eric is a DCE in Brooklyn, progressing through the ordination process, and pursuing a PhD. He’s also a writer and presenter par excellence, and we are blessed to hear from him. Tell us about your ministry. What are you currently doing? I am the Director of Christian Education at First Presbyterian Church of Brooklyn (FPC) and am in my third year of study toward the PhD in Biblical Studies and Early Christianity at Drew University in Madison, NJ. I’m also a Candidate for Ministry in the PC (USA). In both my church and academic work I advocate for people to honor their lived experiences in the process of making meaning of biblical texts, their own theologies, and the implications for the practice of their faith. This process takes on significant depth (in my opinion) when the experiences of women, racial-ethnicities, the spectrum of identities, sexualities, and physical abilities are taken seriously. In my academic work, the study takes the form of hermeneutics or the many lenses through which we can interpret texts. In my church work, being able to listen to each other’s stories reinforces that we are on different paths and parts of our Christian journey. The fact that we choose to journey together strengthens our awareness of being part of the body of Christ and agents of God’s justice. We’ve just completed a four-session series called “First Talks Race” where the members asked each other tough questions and listened to difficult answers especially having to do with privilege (white and otherwise). We brought these reflections into our current exploration of “The Beatitudes NOW” during the Lenten season. You have a background in marketing and the arts. Tell us about that and how (if at all) it informs your ministry. In most of the arts organizations I’ve worked with (including Alvin Ailey American Dance Theater, Lincoln Center, National Black Arts Festival) my job was to connect people who did not ordinarily connect with the arts to opportunities to participate. I found that the most effective way to bridge the gap was to make an invitation of welcome on behalf of the institutions. There is a correlation between many “major” arts institutions and the “church” in terms of how they represent symbols that are signifiers of belonging or un-belonging. For example, most New Yorkers know Lincoln Center as a cultural icon but never go because they assume or have been taught there’s nothing there for them. The same can be said of churches. Many newcomers to FPC enter because the music draws them in – not the building, not the denomination, but the music. So much can be said about where the “church” “is” today, but part of our challenge seems that we aren’t bridging gaps towards welcome. Both the institutions of the arts and the Church can suffer from the intentional or unintentional assumption that new audiences /new members appreciate and strive towards what the institution has to offer. The inconvenient reality is that people live full lives without ever attending the symphony or a worship service. What led you to seek ordination in the PC(USA), and how is the process going for you so far? Tell us about your Ph.D. studies. My research in Biblical Studies and Early Christianity focuses on Africana Studies and Queer Theory as bases to foreground the lives of queer people of African descent. This work illuminates the problems of gender and sexuality in African American biblical interpretation which assumes a heterosexual subject, and the problems of race and class in queer biblical interpretation which assumes a white subject. It is complicated by geographical locations. My options as a same gender loving man in the NY/NJ area are different from those of a gender fluid person in Iowa, or a person of trans* experience in Kingston, Jamaica. However, we are real people who not only fight to survive socio-political circumstances, We. Read. Scripture. and thus fight to survive and thrive in religious communities. My work explores what happens when our lives are placed at the center of biblical interpretation. What are your hopes for your ministry post-ordination? I subscribe to the adage that we make plans and God laughs, but ultimately I want to be a Reverend Doctor. I would like to pastor a church and teach Biblical Studies (intro courses, exegetical electives, Koine Greek). It would be great to be able to combine cultural and literary studies with biblical exegesis to be able to teach classes like “Baldwin and the Bible,” etc. I hope to continue working with national and community groups that further the causes of LGBT inclusion (and actual hiring) in the Church, as well as with opportunities to support the #Blacklivesmatter movement at whatever local level that I end up in. 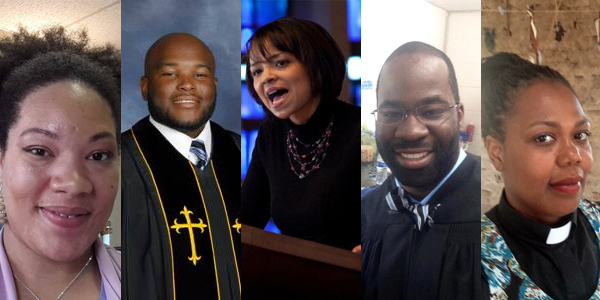 How can we encourage other young Black people to pursue leadership in our denomination? I think we need to provide opportunities to hear from young Black people on their own terms. While traditions are important, my experience is that young people aren’t interested in being replicas of their grandparents. Times have changed, and in many locations around the country young folks “get it” in terms of multiculturalism, communications, various expressions of gender and sexual identities, and other multiplicities that Baby Boomers and Gen Xers are still trying to catch up to. In an age of sermon streaming the preachers of our choice, iTunes, YouTube, SnapChat, Bible apps, and various hang out platforms, the older “we” have to determine how to make the congregational experience relevant for them, in ways that are relevant for them. It might mean considering other “young people” times and formats. It might mean “we” have to get out of the way. 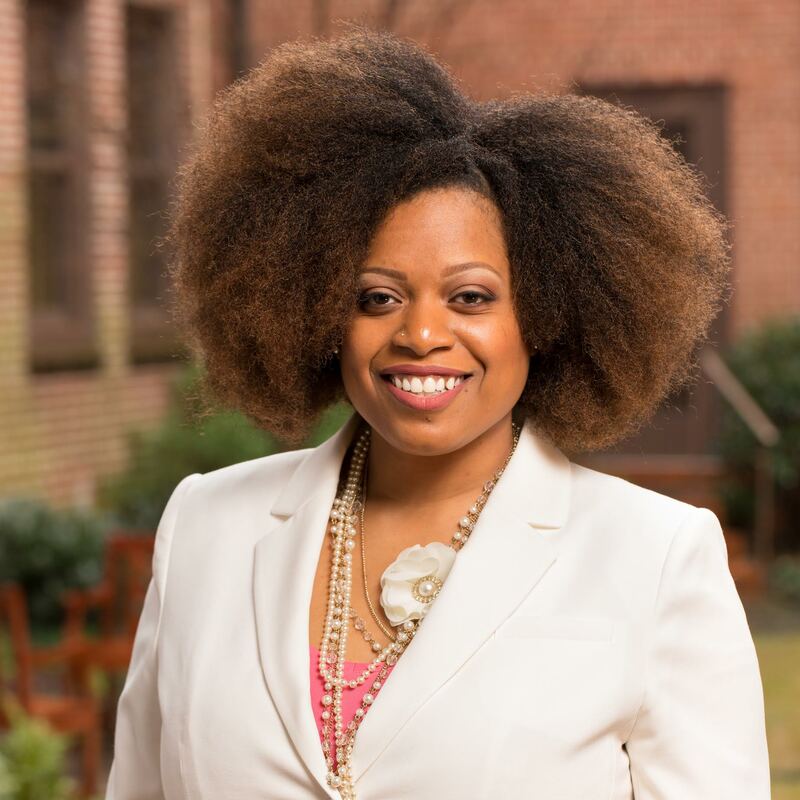 On today’s Our New Day Begun, we meet Dr. Perzavia Praylow, history professor and Candidate under care of Trinity Presbytery. 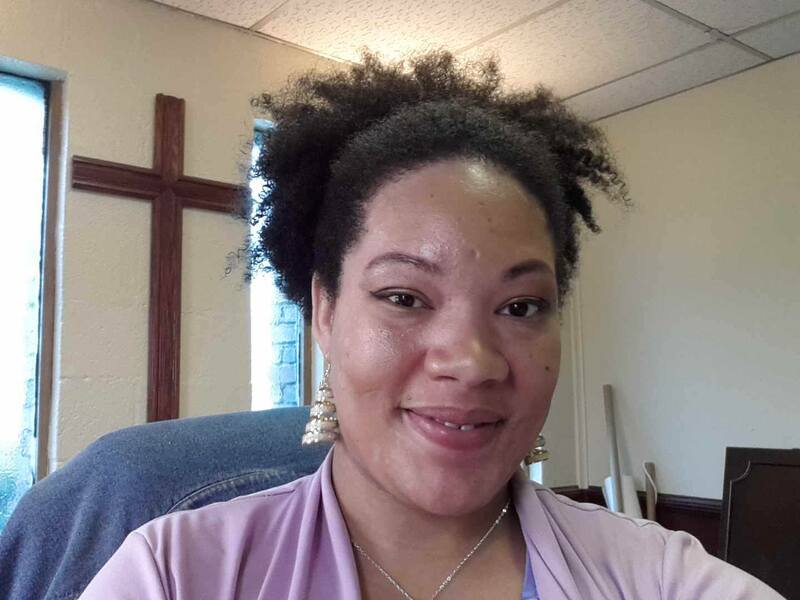 Currently in her last year of seminary, she is serving as supply pastor at Calvary Presbyterian Church in Winnsboro, SC and as a 1001 New Worshipping Communities intern. 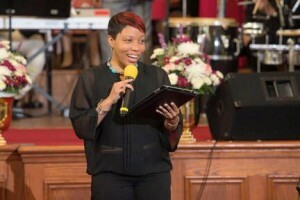 Perzavia’s background and journey to ministry are incredibly intriguing, and I guarantee that if you don’t already know her, you will — and soon. She’s making moves! You spent time in other Christian traditions. Tell us about your religious background and what led you to the PC(USA). My roots stretch from the sky line of New Jersey where I was born to the Sea Islands of South, Carolina where my family originated. Both my faith journey and my education journey have been and continue to be two sides of the same coin. My faith journey begins in my early years as an undergraduate at Drew University—a small United Methodist college in Madison, NJ. My years as a student at Drew shaped my faith. Through campus ministry activities, mission trips to Honduras, study abroad to Ireland and Ghana, fellowshipping with faculty and students from Drew’s Theological School in the “Seminary Café,” I experienced God’s presence in my educational community at Drew. My sense of call has been nurtured and shaped in church community with God’s people. From the moment that I formerly accepted Christ as my savior I have always been a member of a faith community. During my college years, my church home was Calvary Baptist Church in Morristown, NJ. I was baptized at Calvary, a weekly participant of Sunday school and Wednesday Bible study and an organizer of our church’s campus ministry. Calvary was the church that nurtured me in the foundations of my faith. During my graduate doctoral study at The University of Illinois, I was a member of The Church of the Living God. During my nine years as a member at this church, my faith was lived out a lot by “doing” as I came to understand the gifts that God has given me for Christian service. I also accepted my call into the ministry. As a result, I was licensed and ordained as a minister and elder in The Church of The Living God. I served as an associate minister at The Church of the Living God for seven years. I came to believe strongly in the church and the transformation of people through the love of Christ and participation in the gathered community of the Christian church. After graduating from The University of Illinois, I began teaching at Augusta State University in Augusta, GA. I have come to see teaching with college students and young adults as an important way that I could live out my call. Outside of the classroom, my time in the south thus far has also been driven by a desire to serve God through the ministries of the local church. During my first year in Augusta, I was an associate minister at a historic Baptist church. During my time of service in that faith community, I began to discern that God was reshaping my call to ministry leading me to pursue theological education. My reshaping process caused me to seek out seminaries in the greater Atlanta area. I began seminary at Columbia Seminary. 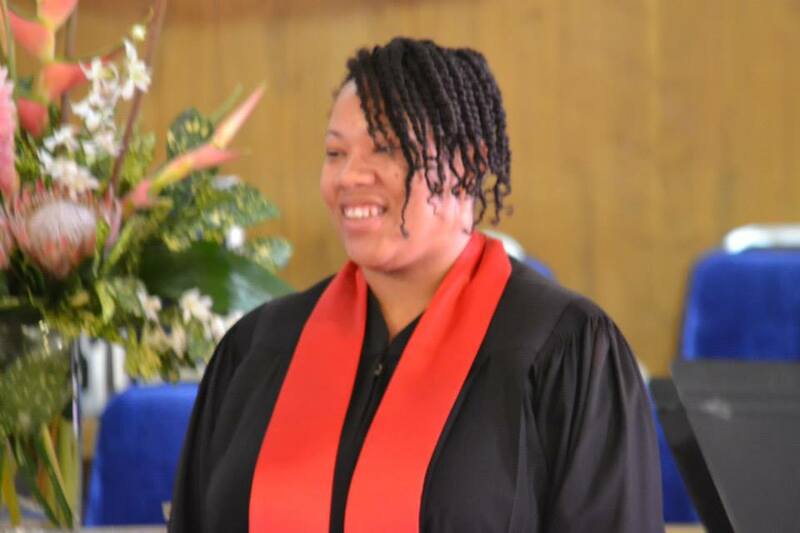 My reshaping for ministry continued as I discerned that God was calling me to pursue candidacy for the ministry of Teaching Elder within the PC(USA). I have been a member New Faith Presbyterian Church since the start of my seminary journey. During my first few months at New Faith, I discerned a call to ordered ministry in the PC(USA) and began the process of becoming an inquirer. After much prayer, I was led to pursue ordered ministry within the PC(USA) because of the possibilities for service in ministry in relation to my gifts including pastoral/congregational ministry, campus/ministry, new church development and teaching, research and service within PC(USA) related undergraduate and theological education. As I continue along my candidacy and seminary journey, I excited about the possibilities for service within both the local and broader church beyond my seminary studies. Tell us about where you are in the ordination process and where you’re currently serving. Currently, I am in my senior year of M.DIV studies as a student at Columbia Theological Seminary. I expect to graduate at the end of the Spring 2016 semester. I am currently a candidate for the ministry of Teaching Elder under Care of Trinity Presbytery located in South Carolina. My home church and congregation of care is New Faith Presbyterian Church. I’m excited that I’ve have successfully passed ordination exams and I’m currently preparing for my final examination related to candidacy. My candidacy process has been and continues to be a journey of growth and formation for ministry unto God within the PC(USA). I have been humbled by the support that I have received from my home congregation and Presbytery of care, the faculty and staff at Columbia seminary and from other teaching and ruling elders throughout the church. Currently, while completing final requirements for theological study at Columbia Seminary, I am serving in a new call as the Temporary Supply Pastor of Calvary Presbyterian Church in Winnsboro, S.C. Calvary Presbyterian Church is a small and growing historic Presbyterian Church that is demographically African American. Calvary Presbyterian Church was founded in 1867 shortly after the Civil War. Calvary Presbyterian Church has a rich history of helping to support the development of schools and others churches throughout the greater Winnsboro community coupled with a history of community impact and outreach. I’m grateful to serve and journey alongside of this faith community during this season of transition and growth. I look forward to growing in my pastoral ministry as I continue to learn more about the heritage and ministry contributions of African American Presbyterians within the ministry context of Calvary Presbyterian Church. In addition, besides my pastoral ministry at Calvary Presbyterian Church, I am currently serving as a 1001 New Worshiping Community Intern where I am engaging a new missional ministry endeavor in the great Columbia, S.C. region. I am grateful to be part of a cohort of interns who are each pursing new missional endeavors within contexts across the country. My training as a 1001 New Worshiping Community intern has been an important experience related to my discernment for ministry service. To read more about the work of the 1001 New Worshiping Community interns please visit this website: http://www.onethousandone.org/#!2015-interns/c1d5m. In addition to your service to the church, you have a career in education. Tell us about that. During my freshmen year of undergraduate studies at Drew University in New Jersey, I was enrolled in an African American history course that focused on the history of the Black experience in the United States from Reconstruction to the present. In that course, my first history paper compared and contrasted the educational philosophies of Booker T Washington and W.E.B. Du Bois. From that very moment, I became intrigued about the history of African American education and how education was used as a tool of race uplift. In addition, as a student at a Christian liberal arts college, my life and aspirations were deeply impacted by one of my professors –Dr. Lillie Johnson Edwards– who taught African American history. I majored in everything that Dr. Edwards had to teach. 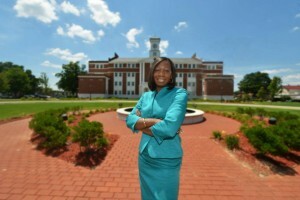 Dr. Edwards is a dynamic educator who embraced her role as a college educator. She truly believed that to teach is to touch lives forever. She both inspired my interests in African American educational history and introduced me to undergraduate education as a viable career option. My intellectual interests in history and the transforming impact of the vocation of teaching on my career aspirations inspired me to enroll in graduate studies at The University of Illinois where I completed a Ph.D in History and a Master of Arts degree in educational policy. Throughout my graduate course work, I developed interests in southern African American history, the history of education, twentieth century race relations and the history of the Christian church in social movements in the United States. My graduate studies in history also made me passionate about using historical knowledge as a tool for social justice. I firmly believe that we can’t began the important work and ministry of social justice and racial reconciliation if we don’t understand our past. Sankofa is a Ghanaian cultural symbol and concept which means to understand our present and to move forward into our future, we must look backwards and learn lessons from our past. As a result, we then can use the lessons from our past as a foundation for transformative living in our present and our future. 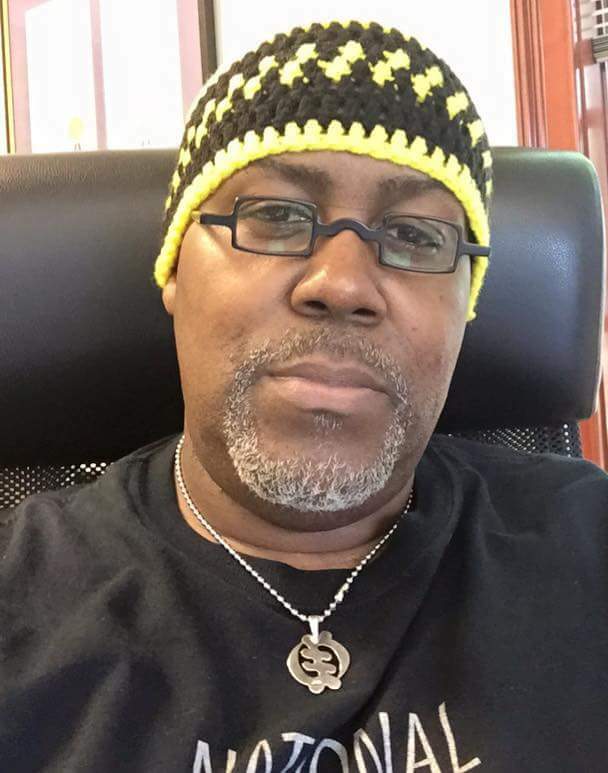 I use Sankofa as a principle that shapes my ministry as a historian, a writer and an educator. Since I was a freshman in college at Drew University, my dream has always been to be a college professor. I believe that will always be part of my call. In the middle of a tenure track teaching career at a four year intuition, I took the road less traveled and went to seminary. I’ve been on this amazing journey of discerning and pursing God’s ministry within and between the space of the church, academy and local community. I look forward to seeing how God will continue to navigate my paths between and beyond these spaces and places of service in the future. At this present moment, I’m enjoying serving in pastoral ministry while learning from and continuing to be formed by the ministry of teaching as a part-time history professor at Benedict College –a historically Black private and Christian affiliated college in Columbia, S.C. My previous teaching career included employment in diverse public colleges and universities including The University of Illinois Urbana-Champaign, Parkland Community College and Augusta State University. My experiences in the last few months at Benedict College have introduced me to the ranging of possibilities of teaching at Historically Black colleges and university. My student come from all over South Carolina, the United States, the Black Diaspora and other countries. I believe that my experiences as a college educator will continue to be part of my ministry to service to God’s church. Related to this, I find that I continually embrace opportunities that promote diversity and inclusion in higher education institutions ensuring that all people have access to higher education. I also believe in the importance of using teaching of history to prepare students to interact with others in our diverse society beyond their college experiences. Regardless of the context of ministry service, I believe that teaching young adults will be related to my service to the church. What do you most appreciate about our tradition? What do you think needs to change? What I appreciate most about our denomination and our tradition is that we are connectional. My candidacy processed has been deeply enrichment by opportunities to serve in numerous contexts throughout the broader church. Besides participating in the ministry endeavors of my seminary, Presbytery and congregation of care, I’ve served in other contexts. 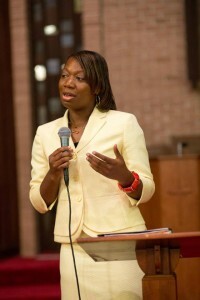 I’ve had opportunities serve as a supply preacher in congregations throughout Georgia and North and South Carolina. I’ve participated in conferences at Montreat and other PC(USA) related national ministry conferences which have exposed me to our broader denomination. After my first year of seminary, I served as a student assistant at the 2014 General Assembly which was a deeply impactful experience for me. I left that General Assembly with appreciating the roles of committees and councils in helping our denomination to live out our call to be a witness for Christ. Yes, I like committee work!!! Currently, I am serving as an advisor on the committee charged with revising our Book of Common Worship. Considering that I did not grow up in a Presbyterian church and that my journey into ministry within the PC(USA) began when I started seminary, all of these experiences have been essential in helping me to serve within the broader church as a result of connectional ministry endeavors. 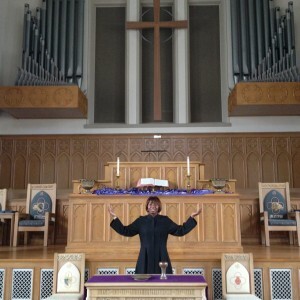 How would you say our denomination is enriched by Black Presbyterians? 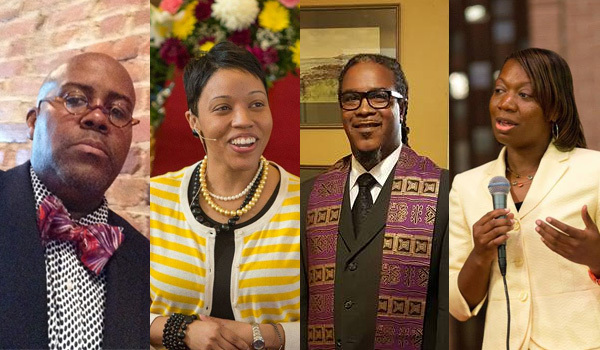 Our denomination is enriched deeply by the historic contributions of Black Presbyterians. In particular, even before I became a member of a Presbyterian church or attended a Presbyterian seminary, I developed an interest in the social and civil contributions of Black Presbyterians in the development of our nation, particularly in the southern United States. In particular, given the rich history of the Presbyterian Church in developing schools in the South after the Civil War, many African American educators were first educated in Presbyterian related mission schools. Mrs. Lucy Craft Laney and Dr. Mary McLeod Bethune were students in Presbyterian mission schools and developed schools and colleges for the education of Black youth. Black Presbyterians have made and continue make contributions in the life our church at all levels and in numerous roles throughout the church. In addition, many Black Presbyterians have joined their brothers and sisters in Christ throughout our denomination in serving alongside others active in movements for social justice both within our church and the larger society throughout our nation’s history. In particular, the contributions of Presbyterians during the Civil Rights movement campaigns of the 1960’s and 1970’s have challenged our church to explore the relationship between our faith and movements for peace and justice both within and outside of our denomination that continue to this day. Is there anything else you’d like to share. My journey into candidacy within the PC(USA) has inspired a deep appreciation for and exploration of the historic development of the Presbyterian Church and African American religious history. Also, in many ways, regardless of where my call into pastoral and congregational ministry will lead, I will always be interested in our how the history of the our Church informs our current praxis for ministry both at the national level and at the level of the local congregation. Further, within my current context as Temporary Supply Pastor of Calvary Presbyterian Church, I am interested in exploring how the rich congregational history of Calvary can be used as an equipping tool for transformative ministry. As I journey alongside of and with this faith community, together we are discerning and living into a new reality of ministry shaped by the historic context and missional ministry endeavors of Calvary’s past. 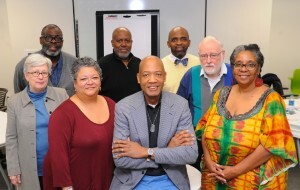 In a similar vein, as historically and predominantly Black congregations continue to discern what it means to be both Black and Presbyterian in today’s context, I am interested, both as a historian and a practical theologian, in journey alongside of historic African American congregations discerning transformation and congregational redevelopment. In the meantime, I value learning from my continuing ministry experience serving in a historically, Black, Reformed, southern and rural congregation. I’m so very excited about my call to serve God through ministry endeavors within the PC(USA). I remain humbled by the support I received throughout my formation for ministry and look forward to living into new narratives of ministry and service that bear witness to the transforming love of Christ. We are blessed to hear from the Reverend Joseph L. Morrow in today’s Our New Day Begun. Joe is a specialized minister in the Presbytery of Chicago, serves on the Presbyterian Mission Agency Board, and is one-half of a clergy couple. His vision, intelligence, and wealth of experience are remarkable, and I can’t overstate how blessed you’ll be once you read what he has to share! Are you a cradle Presbyterian? No, I spent most of my childhood outside of Church period. Growing up I wanted to read philosophy and watch football on Sundays rather than be bothered with organized religion. It wasn’t until college that I found my way to a Presbyterian Church. However, as I grew older I became inspired by Presbyterians who adorned my family tree. I found an especially compelling figure in my great grandfather who was a bi-vocational pastor (back before they had a name for it) in Tuscaloosa, Alabama. He used the wealth he built in business to finance homes for those in need regardless of race and economic circumstance in the segregated South and financially support Civil Rights protesters. Figures like him, both historical and contemporary led me to reconsider the Church and ask what theologies made such witness possible. You have a fascinating professional background. When did you start to discern a call to ministry? What led to that? Like many, I was initially very resistant of a call to ordained ministry. My first love has always been diplomacy and cross-cultural engagement. An interfaith friendship with a Jewish roommate, led me to Shabbat dinners through which I began to better understand the roots of Christian rituals like the Eucharist. It turned out that looking at Christian faith through a Jewish lens helped me recover hidden value in following Jesus. Ironic? Yes. I left Georgetown an international politics major, but underneath felt an increasing pull toward religious community and faith-based organizations, where I believe the kind of deep rooted, holistic social change I wanted to be part of could be found. So I pursued seminary and spent time working in cross-cultural ministry and global mission in Niger. Yet I felt significant doubts, plagued by thoughts that “traditional” ministry wouldn’t be for me. I left seminary to work in the global technology industry for 3 years, gaining a different kind of professional experience. Many co-workers as well as my wife, encouraged me to give theological education another try. Knowing my comfort level in liberal progressive theology, I intentionally sought to study in an evangelical seminary/university whose strength was in missiology and spiritual formation. While there, I worked in campus ministry and then congregational youth ministry, both of which I like to think prepared me for my current call. Tell us about your current call. I work in specialized ministry for the Chicago based non-profit Interfaith Youth Core. We are a national organization working to advance interfaith cooperation through higher education. As inter-generational communities committed to intellectual development and social betterment, we believe colleges and universities are uniquely situated to model a positive response to religious diversity. In my role I work mostly with religious affiliated campuses, helping them through strategic planning, training and convening, to bridge their distinctive religious identity and the need to prepare students to be part of religiously diverse workplaces and communities. It is pastoral in that I am often a chaplain to chaplains, but it is also missiological – in that my work helps both Christians and Christian institutions work out what it means to live our redemptive message in culturally and religiously diverse environments. This work is also deeply personal. Given how interfaith relationships in college influenced my own sense of call, I feel blessed to help create those transformative possibilities for others. You do some necessary (and difficult) work on the PMA board. How has the experience been for you? Serving on the board has been a worthy challenge, an education and a blessing. I’ve been enriched and encouraged by the friendships I have built with people serving across the denomination. I’ve been impressed by the breadth and depth of our mission and ministry as a denomination at the national and international level. I’ve also shared in the frustration over shrinking budgets and taxed resources felt by the staff, board and our worshiping communities. The challenges we have recently experienced at PMA have really begun to bring us together as a board and clarify our unique mission in this kairos time. We are steering through some uncertain times, both trying to anticipate God’s future word, while stewarding the resources and word already given. I also believe in our actions as a board we can model new ways of being the Church in an environment requiring adaptive leadership. I appreciate that Presbyterians are public, participatory and at times prophetic in their way of being Church. I’m thankful we have strived for a third way between rejecting secular institutions and uncritically baptizing them. The Reformed tradition’s emphasis on God’s sovereignty, grace and human sin, make such a balanced approach possible. Likewise, our participatory polity, modeled in the priesthood of all believers, has the power to deepen the discipleship and public witness of many Christ followers rather than giving power and privilege to a few. I also appreciate the times when Presbyterians have lived into the Prophetic spirit, which is not just in speaking truth to power, but also as Jeremiah and Daniel did, ministering to those who would be regarded as marginal or written off as beyond redeeming. I’ve found Presbyterian witness, especially internationally, doing just that in inspiring ways. Of course all the things I mention we could be doing more, and more conscientiously. The course of my ministerial journey has also convinced me we need to enlarge our vision and dreams as a denomination. It’s occurred to me that an appropriate way to begin is to broaden our prayer life. Broadened prayer also broadens our curiosity, deliberations, budgets and actions. Increasingly, I’m taking every public issue I’m in prayer for, be it violence against people of color, lack of economic opportunity and Earth care, and expanding my prayers beyond policy to include the people and places impacted by those issues. I’m discovering complexities; that the lines between victims, perpetrators, and bystanders are often blurred. I’m also seeing places where I can be more of an instrument of prayer. I also believe Presbyterians can enlarge our sense of vocation. Teaching Elders too often share a disproportionate amount of the burden of spiritual leadership and discipleship. Ruling Elders, Deacons and all who participate in our communities have the potential if we let them to see their service as expansive and not limited to what occurs on Sundays or in the institutional Church. They are ambassadors of Christ who can make a difference within their family, friend, workplaces and communities. We need to empower and equip them as if this is true. Lastly, I’d like to see more collaboration between networks and communities of color in PC(USA). I’ve experienced the fruit of such interaction personally (my wife is a Korean American Presbyterian) as well as ministerially through seminary and General Assembly service, but there is such a richness of experience and wisdom we could be drawing on more for the sake of our whole denomination. I wish I knew more of my Asian, Latino/a, and Native American counterparts. Black Presbyterians bring an experience to ministry which is very needed in a pluralistic context: double (and triple) consciousness thinking. We have lived in multiple cultural, socioeconomic and theological worlds for many generations. In an increasingly pluralistic social context it is important that our perspective inform and shape the Church’s ministry nationally and globally. I also appreciate the Black Presbyterian heritage of upliftment, not just for the individual, but for our families and communities as well. For us, the Church has never just been a place to exchange spiritual goods and services, but an embodied experience of moving toward liberation as God has stretched us as a people to understand that term. I’m indebted to the writing and leadership of Reformed figures like Allan Boesak, Gayraud Wilmore and Katie Cannon for reminding me of this, as well as many other Black Presbyterians I have come to know and be shepherded by personally. There is an emerging generation of Black Presbyterians whose families hail from West and East Africa, who will add new dimensions to our cultural identity and its influence on the PC(USA) and US society. I’ve had the privilege of pastoring a group of these thoughtful and gifted youth at Edgewater Presbyterian, the small multicultural congregation in Chicago where my wife and I are pastoral associates. I feel the particular burden to ensure that their social advancement does not come at the cost of their complex cultural identities or the unique perspective they can offer the Church. Presbyterians have done alot of handwringing about the cultural diversity of our denomination not reflecting the growing presence of people of color in our broader society. I would say that concern is healthy, but misplaced if it is first and foremost about numbers. To put such a goal at the center of our witness puts it in danger of becoming just another form of status seeking in a newly forming multicultural society. Rather than seek status through numbers, let us first seek God’s reign, justice and righteousness through ministry and learning with people of color. Witnessing with sincerity, integrity and persistence in the power of Holy Spirit yields more fruit than we can imagine. Today on Our New Day Begun, I present to you the Reverend Aqueelah Ligonde, minister member of the the Presbytery of New York City. I first met her this past summer at Montreat. We were both participants in the Racial Ethnic Executive Leadership institute, a vehicle of the Racial Ethnic and Women’s Ministries in the Presbyterian Mission Agency of the Presbyterian Church (USA). REELI identifies and encourages people of color in our denomination who show potential for executive leadership in the denomination. Aqueelah is an incredibly passionate and gifted minister, and I’m eager to share all that she is doing for and in the church! From pastoring to serving in other capacities, you’re a busy woman! Tell us about your current call and your other service to the church and community. It is a great season for me! I feel like I am living right where God wants me to live…in my sweet spot. Currently, I am the Site Coordinator for the NYC Young Adult Volunteer program. It is the inaugural year for the NYC site and I am thrilled to be able to kick us off. I am also serving the PCUSA in another ministry, Racial Ethnic Young Women. As Field Staff for REYW I get the awesome opportunity to support, nurture, connect, and serve alongside young woman from around our denomination. 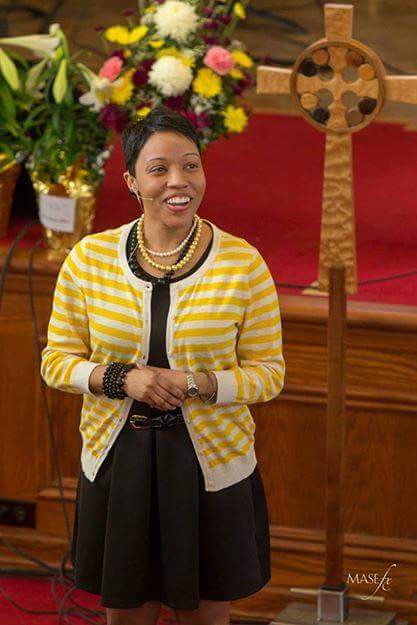 In March of 2015, I became a Staff Consultant with an incredible organization called Ministry Architects (MA). MA helps churches to build sustainable, healthy ministries through consulting, coaching, providing resources, and overall support. MA specializes in children, youth, young adult, and small church consulting and coaching. This year even more doors are opening up! I am currently being trained to be a trainer for Youth Specialities and Gen On Ministries. Both are wonderful ministries to youth and children that seek to support and train youth leaders across the nation. Tell us about your religious background/upbringing and how you came to discern a call to ministry. I grew up in a Baptist Church in Dayton, Ohio. I like to joke and say that I was a member even before I was born because my grandmother, mother, and aunts had been members there since the church was founded. I’ve always loved church, even when I was younger. I loved the music. I love the love. Church always felt like home to me. I was baptized when I was 10 years old. It was one of the happiest days of my life because I got to brag about being “dunked” in “cold water” and how that meant I was “saved” and how much God loved me. I remember getting on the bus the Monday after my baptism and going on and on about how “new” I was and how, now I was a part of God’s family. Needless to say, the kids on the bus were more interested in the dunking part than the salvation part. I began singing in the church choir after my baptism and I’ve never really stopped singing since then. One of my life’s greatest joys has been to worship God in song and dance. Really any form of expression in worship brings me joy. I was able to flex my artistic muscles at my home church in Ohio. But, it wasn’t until my teenage years, that I really began to get involved in church. When I was 12 years old, our church called a new pastor and my life changed. This young pastor came into our small Baptist congregation and opened our eyes to what it meant to be a church in the community, not just a church of the community. Rev. 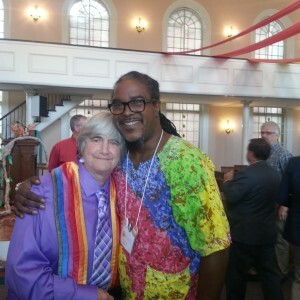 Daryl Ward and his wife Rev. Vanessa Ward, brought an energy I had never experienced before in church. It was contagious! They helped us to reach outside the four walls of the church and be engaged and fully immersed in community. This shaped my idea of church and God in a great way. For me, church became about God’s movement and presence in the world…everywhere…all the time! I wasn’t just about Sunday mornings. Or Bible Study. Or when I was dressed up. But, church happen on the street. At my school. With my non-Christian friends. And, when I served with my family. Worshipping God, community action, empowerment of people, how I engaged my family and community all meant the same thing to me. It was all church. It was all God. It was Jesus alive in my life. So, my call to ministry was really an expression of what had been grown in me by God and the people around me. I don’t think I thought about being called as something that would happen to me. I think I just felt that my call was something that had always been in me. And, at the time when I needed to figure out which direction my life would go, the calling inside of me rose up. I have amazing people in my life who helped me to listen for God’s voice and not be afraid to move on it. New York is a brand new YAV site. How has the experience been so far? So far, the experience has been wonderful! There are four really amazing young adults serving here in the city and they are really setting the bar high for the years to come. It has been so refreshing to watch them take the city on. It has also been an interesting experience to watch them change in such a short amount of time. I am watching their confidence grow, their faith expand, and their view of the world around them begin to shift. Here at the NYC site, we are open only to second year YAV’s, which means they served somewhere else last year. So, they came into this second year with some experience under their belts. But, even though they know the program, this is a different place, a new year, and unfamiliar territory. All of that comes with a different set of challenges and opportunities to engage God in a fresh way. We are growing and learning together. We are experiencing all the “firsts” together. Most importantly, we are learning that there are lessons to be learned in everything if we are open to God and each other. 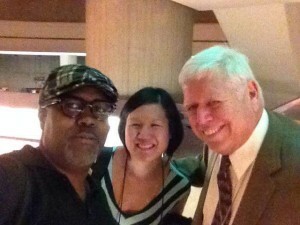 What I love most is the fact that there are a lot of people, pieces, and places that make up PCUSA, but it still seems to feel like you can be connected to someone, something, and somewhere. I love that there are always resources and opportunities to be accessed. I love that the church seems to finally be recognizing the gift of this generation. One thing that I have learned through the YAV program and REYW, and even in my work with Ministry Architects, is that we have the privilege of living in an age where the world is literally at our finger tips. And the people who know this the best are our children, youth, and young adults. They understand the world in ways some older folks will never understand. They have an insight that is so necessary in the growth of the church that if we don’t embrace them and pay attention we will miss out on a move of God. I am sure of that! I love that our tradition is “always reforming”…always looking ahead…always willing to listen. But, I pray we learn to stop long enough to actually hear the voices of this generation. I pray we continue to open our doors and hearts to them so that what we see ahead is not just our own reflection, but the reflection of God’s grace passed down from generation to generation. First let me say that my own personal life has been enriched by Black Presbyterians in the past 11 years that I have been a member of this denomination. 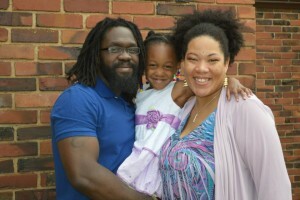 My experience here in NYC, with Black Presbyterians has been one of great support, guidance, and empowerment. 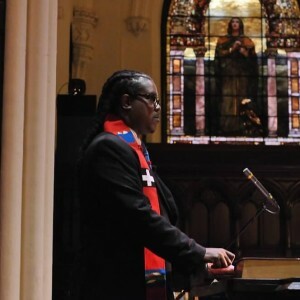 The Black Presbyterians, in NYC, embraced me as if I had always been a part of this church. As I was going through the ordination process, they were like my own personal cheering squad. They encouraged this baptist raised, mid west grown, fresh to the city, young woman to not be afraid to lead in this denomination. As a whole, I believe that the voices, hands, and hearts of Black Presbyterians have helped to shape conversations and propel movements for the denomination. I think the contributions and dedication of Black Presbyterians has given life to this Church and will continue to give life as we explore new ways to engage and embrace each other across the board. In today’s edition of Our New Day Begun, we hear from Carlton D. Johnson. 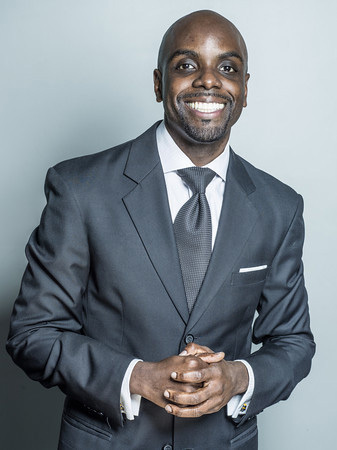 Carlton is a graduate of Johnson C. Smith Theological Seminary — an historically black Presbyterian seminary — and currently serves as its Adminsitrative Officer. 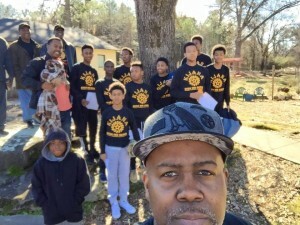 He’s a Candidate under care in the Presbytery of Greater Atlanta, an active member of First Afrikan Presbyterian Church in Lithonia, and is studying for his ThM with a concentration in homiletics at Candler School of Theology at Emory University. With all he has on his plate, I’m honored he took the time to participate in this series! Carlton is a dedicated servant and definitely someone you’ll want to get to know. I’m thankful for his witness and his friendship. You’ve spent some time in other Christian traditions before coming to the PC(USA). Tell us about your experiences. I was raised in an inner city African American Baptist church. By age 5, I was a choir member. Music is seen as integral and common to the African American church experience; yet, it was more so at our church; the pastor’s daughters were members of the famous Hawkins Singers groups of the 70s-90s. By age 16, I was a choir director and touring with Edwin Hawkins on trumpet. At age 20, I took my first “job” as a minister of music. My relationship with Christ was built foremost through the music of the church. The lyrics of the hymns and gospel music were my creeds and confessions; they were the foundations of my faith. I observed that many of these songs formed the foundation of sermons both in selected “text” and in the closing celebration. Hence, my introduction to my current course of study (homiletics) was far less about painting the picture of the text and creating a world in which listeners might pursue the will of God…and more about identifying the appropriate moment to invoke musicality in my preaching voice (and in key). I was also introduced to church governance and finance at an early age. I was the church financial secretary at 24 and treasurer at 26. Notwithstanding these roles, I was also a trustee. 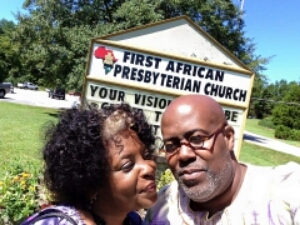 Share with us about First Afrikan Presbyterian Church. What drew you to it? What would you like us to know about this unique congregation? Carlton and his wife, Cara. Though leadership in music ministry led me to other congregations, I only strayed away from the Baptist church once, as a choir director for a Pentecostal congregation. In my first year of seminary, I sought to learn what it actually “meant” to be Baptist. I also researched and learned of other denominations (and faith practices). I had only recently returned to regular church attendance after a 2 year hiatus; I had witnessed one-too-many events of the church abandoning people when they needed them most…and one-too-many cases of communities taking a back seat to the greed of a pastor. As I entered seminary, I needed to marry my awareness and newly acquired understanding of what it meant to be Black and Christian to my church membership and regular practice of my faith. I met Rev Dr Mark Lomax and first attended the First Afrikan Church in the winter of that year (2009). Through Rev. Dr. Lomax’s teaching and that of the ministries of the First Afrikan Church, immediately, I was propelled to a deeper understanding of the Gospel as the redemptive purpose of God, designed to liberate the oppressed and set the captive free. Between seminary and weekly bible study, I was able to see how the bible had been (and still is) used as a tool of oppression. Our mission statement is “The First Afrikan Church is an Africentric Christian Ministry that empowers women, men youth and children to move from membership to leadership in the church, community and the world.” First Afrikan allowed me a space and functioning ministries to affirm liberation as the will of God and to commit to the removal of forms of oppression and injustice in the community and world around me. Consistent with the reformation ideals of the Presbyterian Church (USA), FAC deploys its leaders to participate in community justice activities. I also found a home in the music ministry of FAC and in youth ministry and mentorship. You are the Administrative Officer for Johnson C. Smith Theological Seminary. What does that entail? The easiest way to answer that question is to share the a few major bullets from my job description (pasted below). However, the short answer is that I bring function and fruition to the brilliant ideas of our president, faculty and staff. Participate in implementation of the human resources policies, procedures and practices including the development of job descriptions for all staff. Maintains regular contact with the JCSTS Board of Trustees and Committees. Ensures that the JCSTS Board of Trustees and Committees is informed and engaged. Johnson C. Smith Theological Seminary has experienced a great deal of transition recently. Tell us about that and the Seminary’s hopes for its future. In 2014, amid dramatic shifts in the leadership needs of the Church, JCSTS disaffiliated from the Interdenominational Theological Center in Atlanta. The ITC had been its home since 1969. JCSTS has since focused on delivering theological education that is more affordable, increasingly relevant for a changing world, contextual, and global in perspective. It is our mission to provide innovative theological education to advance communities of faith, justice, and compassion. If the above sounds familiar, it is primarily from our website, goals, values, and mission statement, all of which I have been instrumental in developing. What do you most appreciate about our tradition? Where do you think we could stand to change/improve? Happy Black History Month! I’m incredibly excited because for the second year in a row we get to hear from some dynamic African-American leaders in the PC(USA). The “Our New Day Begun” series takes its name from a line in James Weldon Johnson’s poem and hymn, “Lift Every Voice and Sing,” and gives us a glimpse into how the PC(USA) is being impacted and will continue to be shaped by Black leaders. You can read last year’s installment here. A word about this year’s installment: Last year it was my intent to hear from young, Black PC(USA) leaders who were still fairly green in their careers — people who were in a similar boat as myself. I was interested in examining some of our shared experiences as we were all just beginning to leave our mark on the church. This year, we’re not just hearing from the “young” leaders. This year’s leadership profiles come from a variety of perspectives and places in their vocation. Some of those we’ll hear from are in the ordination process, while others have years of experience as teaching elders. All of them have fascinating stories and are doing some amazing things in ministry. Whether you’re being introduced or re-introduced to them, I’m exited for what they have to tell us all. On Wednesday, we will start with our first profile. Feel free to bookmark this page, as I will include links to all profiles at the end of the post as they are released. 1. We’re all so different. Of course, no grouping of people will ever be monolithic. We all know this. But I was enriched by the variety of our experiences and backgrounds. We have “cradle Presbyterians” who had been raised and heavily-steeped in the tradition, and others who (like me) came to from other denominations and found a home in Presbyterian polity and the Reformed tradition. We have those who are from the Black church tradition (across denominations) and others who are not. We have some who minister in Black churches, some who minister in mostly White or multiracial/multicultural churches, and others who don’t minister in a church at all. Some of us went to Presbyterian seminaries, and others of us did not. 2. We’re different, but some common threads persist. Even though we profoundly appreciate the tradition, we often find it difficult to see ourselves in it. We want very much for more people of color to be at the table, but we want to avoid tokenism. We see the often subtle ways in which whiteness is preferred in our denomination, ways that the majority perhaps cannot. We’re concerned that the denomination might be too inwardly-focused (and, ostensibly, too Whiteness-focused) and needs to expand its perspective and its outreach. But rather than pull up stakes, we see opportunities to make the denomination more reflective of the Kingdom of God (or at least the United States of America) and deeply want to see those changes through. I also think PCUSA Seminaries really need to examine the white supremacy in their curriculum. Theologians and scholars of color cannot continue to be marginalized in the classrooms and thinking. The denomination statistically is not diverse and the cost of some events are prohibitive to those that are not solidly middle class and, if those who are socio-economic minorities or racial-ethnic minorities attend conferences that don’t know how to handle the diversity of the body of Christ in an authentic way that tackles the hard work of justice and reconciliation, then the likelihood of return is pretty low. There have been times when I worried that it always seems to be the same voices at many tables and have joked with some that they seem to be thee “young Hispanic male”, “young Korean female”, “young LGBTQ ruling elder” always called to be a voice at the table. We could probably do better finding more voices and different voices. While it may be argued that there is strength in numbers, it is also true that there is immeasurable fortitude that resides in the margins. That is not to justify marginality, but to acknowledge its value, simply because we who inhabit the margins are valuable—to God, to the world, to the 91.8%, and to ourselves. Or, at least we ought to be. I’ve been attending [Howard University School of Divinity] for three years and I haven’t seen any PC(USA) tables set up to provide information about us. 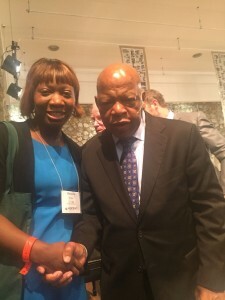 We are not going were minorities are to ensure that we can at least hold on to the African American PC(USA) congregations that are fighting to survive. The denomination seems to have trouble grappling with the idea that it is no longer (or was it ever?) a household name. PCUSA who? PCUSA what? PCUSA why? I wish I had a nickel for every-time I explained to someone about the PC(USA). Our denomination can best honor the perspective of its racial/ethnic minorities by bringing to a halt all of the lofty TALK about race in America and a taking the appropriate ACTION to dismantle it in America. The church is microcosm of the country: segregated, isolated and generally afraid to engage the “other” among them. I also believe the denomination is finding itself in the squeezing place of being called to do more with less. This is a common experience of many African-American household again speaking from my own experience… There are beautiful gifts of having to work with what you have. There is the cultivation capacities to prioritize, to improvise, and to have faith in the providence of God that come out this. By no means is this an exhaustive sampling of the wisdom and passion shared by those who were featured. These sisters and brothers had much insight to share. 4. It can’t end here. It became clear to me early on in the series that it simply could not end after February was over. What I would love to do is continue collecting and sharing these stories throughout the year, perhaps not at the frequency we saw this month, but regularly and faithfully. There were many who expressed interest in sharing that I simply could not get to, but they, too, need to be heard. And so I look forward to continuing these efforts in the foreseeable future. It won’t end here! In today’s “Our New Day Begun” feature, we meet Brian McCollum. Brian is a Candidate who is certified ready to be examined for ordination, pending a call (hallelujah!). He is not only a graduate of Princeton Theological Seminary, but he is currently its Director of Recruitment. He’s a gifted preacher, a talented stepper, and incredibly warm person. And on a personal note, if anyone’s ordination is overdue, it’s his! Meet him and be blessed! Tell us about your spiritual background. Have you always been in the Presbyterian Church (USA)? I have always been involved in the life of the church, specifically the Presbyterian Church USA. I am a native of Forestville, MD (right outside of Washington, DC) and I grew up attending Sargent Memorial Presbyterian Church. As a teenager, church was more of a social gathering than a spiritual experience. Sargent was blessed to have a very involved and active youth group. In the late 80’s / early 90’s there seemed to be a sense of loyalty toward denomination so membership retention and growth was never a problem. After high school my personal journey with God began when I started attending Morehouse College. I became a business major because I wanted to make a lot of money after graduation. I started to hear the call to ministry as a student but did not pursue it because I thought God had the wrong number… So I ran from my call. However, I only felt fulfilled when I was doing ministry. After graduating from Morehouse, I became a Pharmaceutical representative with GlaxoSmithKline in Washington, DC. In 2002, I left Glaxo and joined a non-profit company called Step Afrika! Life started to take a turn when I joined this company. I felt a deeper sense of calling to the ministry and finally answered the call at Princeton Theological Seminary. Princeton changed my life! My whole scope of theology, counseling and worship had expanded to places I never imagined. My faith was no longer a concept that I just talked about but it was a practical reality with real life applications. Who/what influenced you to seek ordination? I was blessed to have many mentors during the process of discerning my call. Some are Presbyterian and some are not. They have helped me navigate this awesome call and find my pastoral voice. They are Rev. Juan Guthrie, Rev. James Allen, Rev. Victor Aloyo, Rev. Cleo LaRue, Rev. Joseph Daniels and Rev. Clinton Miller. I thank God for them but I had to save the best for last… my parents Mr. and Mrs. Clarence and Gloria McCollum. They were the first theologians I ever knew. Tell us about your experiences at Princeton Theological Seminary. What was it like for you? 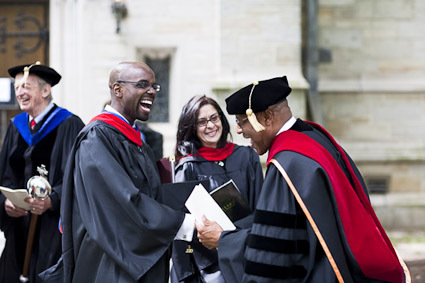 Princeton Theological Seminary is leading the charge in creating the next generation of leaders in the church, academy and world. I am not just saying that because I work in admissions. I have truly enjoyed my experience at Princeton. It is not a perfect place but we serve a perfect God. I like that Princeton is a place where we can discuss issues that are going on in the community…(women in ministry, homosexuality, social injustice…) Princeton is not afraid to have hard conversations. I was challenged academically at Princeton and was also embraced by the entire community (students, faculty and administration) to help create a more inclusive space. I served as the president of the Association of Black Seminarians for two years and I sat on an advisory counsel for the president in reference to diversity issues. I was very involved in the life of the campus. I created a step ministry at Princeton call “North Wind” step ministry. I traveled to Ghana and Liberia to do ministry in an international context. I created wonderful friendship with my peers and faculty members. The faculty members are probably one of the best parts of Princeton… They care about the students engaging in critical thought in every area as future pastors and professors. I love this place! You recently returned to PTS for work. What are you doing now? I currently serve as the Director of Recruitment for the seminary. I work with the Dean of Student Life and the Director of Admissions and the Admissions Committee to plan, budget and execute an admissions and recruitment strategy that will meet the seminary’s enrollment goals. I also interview applicants and help them discern and navigate their call. One of the greatest aspects of my job is having the ability to travel and meet new people who want to learn more about God. There is no higher honor than to serve Christ! It is evidence that the future of the church is not lost. I have the pleasure to helping them prepare for their call. It is awesome! How do you hope to help PTS increase its intercultural competence? How can we do that as a denomination? At Princeton diversity is not the end goal but having a community that is reflective of God’s kingdom is the ultimate goal. I would like to help Princeton reflect God’s kingdom by being a voice for the minority and underrepresented populations in the admissions process. Another way to increase intercultural competence is by diversifying the recruitment plan and reallocating the distribution of resources so more minority applicants can have Princeton as an option for theological study. Furthermore I want to also help reconnect of minority alumni with the current seminary community. We all become better when everyone’s voice is heard! As a denomination, we have to do two things better… First we need to do a better job in passing the torch to the next generation. PCUSA could do a better job of preparing the younger members to handle the business of the church. Not just in the role of the pastor but just being in the habit of grooming church leaders in our young people. (Christian educators, Sunday school teachers, Bible study leaders, Elders, etc…) We need to start helping individuals identify their gifts and place them in positions where they will thrive. The second part of this answer is finding a balance between tradition and innovation. Tradition is great and has helped us get where we are today. However, in order to reach the Post-Modern Generation we must balance that tradition with innovation. My grandmother always said, “You gotta catch a fish before you can clean it!” We have to catch the youth and if we don’t catch them we will lose them. Since God is always being and becoming, we need to always be reforming to stay relevant to the world around us. However, being in admissions, I have hope that God is up to something. There are some amazing individuals who are preparing themselves to serve God in a mighty way. Because it’s enormously cool, tell us about Step Afrika! and your time with that company. Step Afrika! is the first professional dance company dedicated to fraternity and sorority stepping. I joined the company in 2002 and had the opportunity to travel to over 30 countries with the group. I have performed for thousands of young people, actors, models presidents, Kings and Queens. I have been in movies, music videos and commercials. 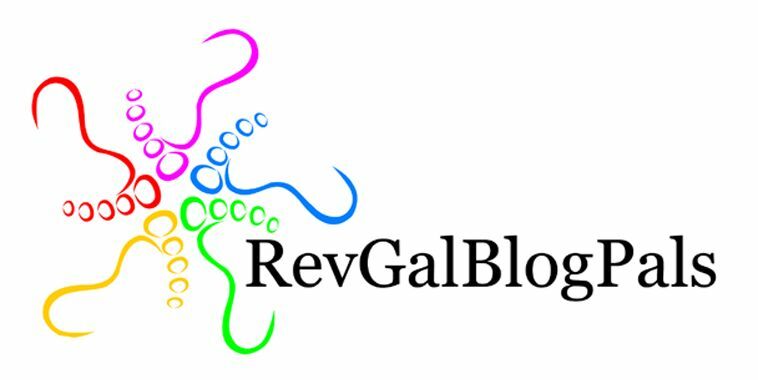 I have been featured in many documentaries, articles and YouTube videos in reference to stepping. It was in Step Afrika! that I embraced my call to ministry while on a trip to South Africa. It was also in Step Afrika! that I realized my true love in life which is the intersection of religion and education. Both of these aspects have shaped me into the person that I am today. With that being said my ultimate goal in life is to change the world via leading a Historical Black College or University (HBCU) as a president. I have changed from a life of running from my call to a life of running to my call. There is hope for the future of the church and that hope is built on nothing less than Jesus blood and righteousness; I dare not trust the sweetest frame but wholly lean on Jesus name! On Christ the solid rock I stand, ALL other ground is sinking sand!